Despite the recent heavy snow and freezing temperatures from the ‘Beast of the East’ and storm Emma, Spring is here. 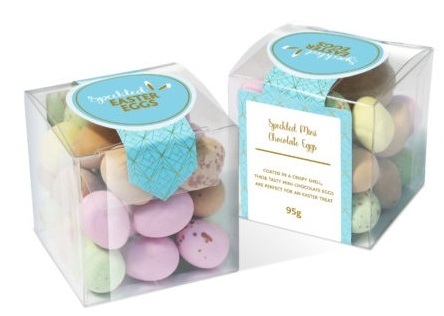 With the change of season, it’s the perfect opportunity to refresh your promotional products and to help you ‘Spring into action’ we have put together our top picks for Spring 2018. 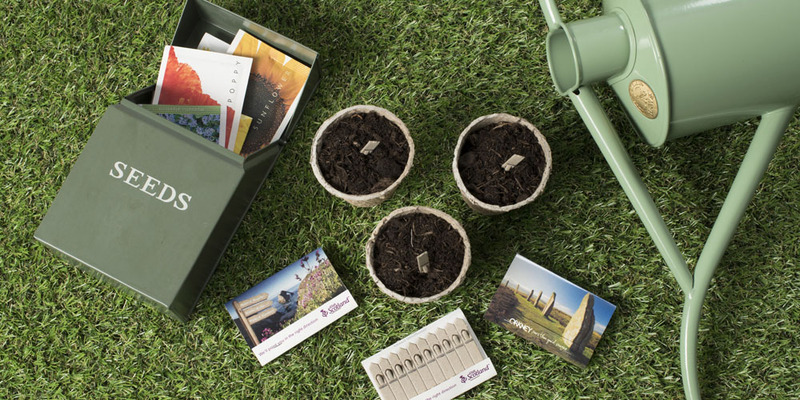 Promotional Seed Packs, Grow Kits and Garden Sets are the perfect inspirational give away that also delivers an eco-friendly message of your brand and company. 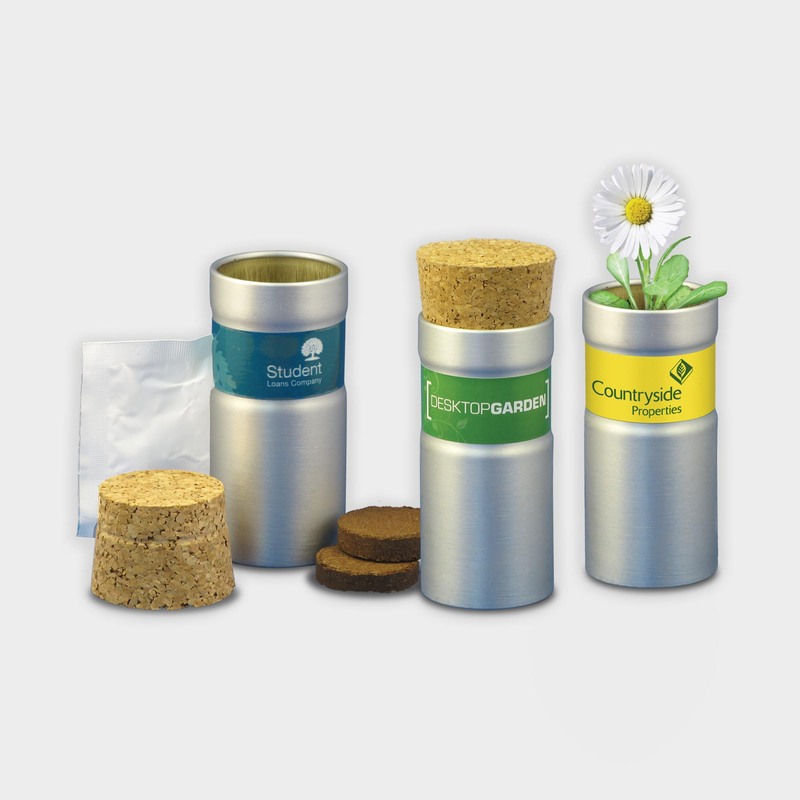 Share the eco message with this Green & Good Desktop Garden Tube made from 95% recycled aluminium containing dehydrated soil and seed pack, just add water to grow plants in the tube. 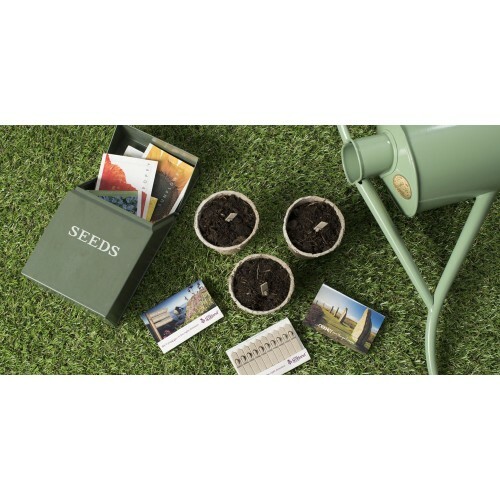 Or why not choose from our range of Seed Stix Flower Sets – Mixed Herbs, Mixed flowers, Forget me not, Alyssum, Snapdragon, Babies Breath or Love in a mist – pack contains 10 biodegradable seed planting sticks in the seeds of your choice. These products are all produced in the UK. IDEAS - Great for business wanting to communicate a brand message and/or inspire employees; ‘seeds of success’ concept. Now winter has come to an end and the promise of warming weather on its way, the mood changes to outdoor events and festivals, presenting the perfect opportunity to add a promotional product/giveaway. Choose from essential event lanyard passes, bunting and Cotton Shopper Bags to fun Farm Animal Stress items, Sunglasses and Frisbees. We understand the pressures around event planning so leave the work to us – simply drop as a note with details about your event, items you are interested in (or feel free to leave as an open brief for us to suggest), budget and most importantly the date … then sit back and leave the rest to us! 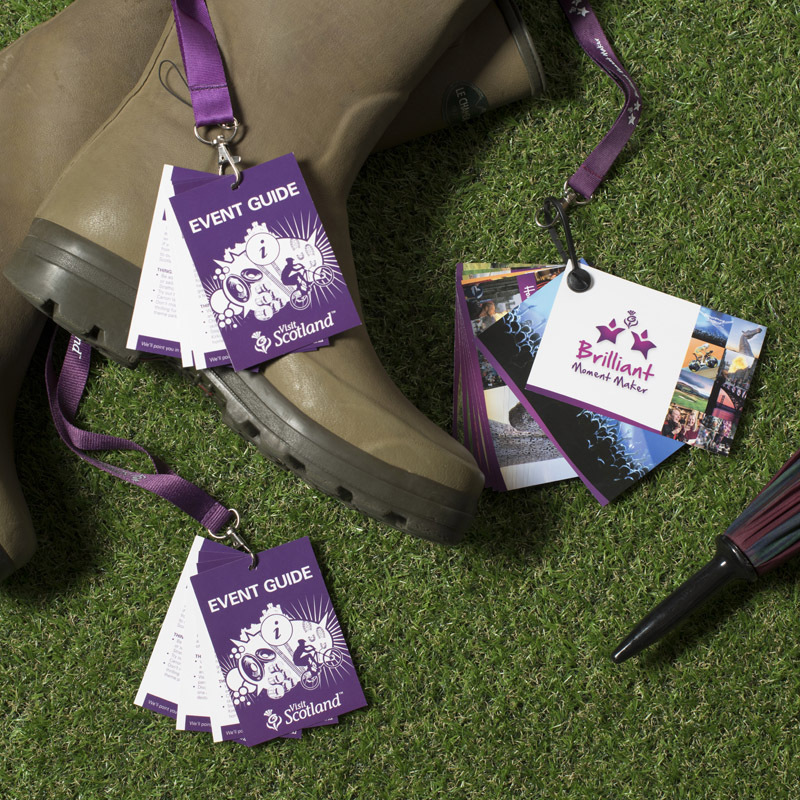 IDEAS – Weather can be challenging in the UK but that doesn’t need to spoil your event – be prepared with our Fleece Blankets and Plastic Ponchos. Be prepared for those ‘April Showers’ with our huge selection of Umbrellas, a must for UK weather. With so many styles available, choosing the right umbrella can be confusing, that is where we help. We recommend the Pro-Brella Golf Umbrella, not only does it have a storm proof frame, it has a great print area (with optional extra of the tie wrap print) and is available in 32 fabric material colours. Ladies and gents styles available. IDEAS – Add shelter from light showers or shade on a sunny day for your customers in outdoor areas with our Promotional Parasols - promote your brand and widen the use of outdoor space. Spring is the perfect time to review and update workwear & uniforms. Whether you are in the catering & hospitality, construction, health or corporate industry we have thousands of clothing items to choose from available in a wide selection of sizes and colours. Save on Hospitality Clothing this Spring with FREE embroidery across the range to celebrate the launch of our new Hospitality Clothing Brochure. 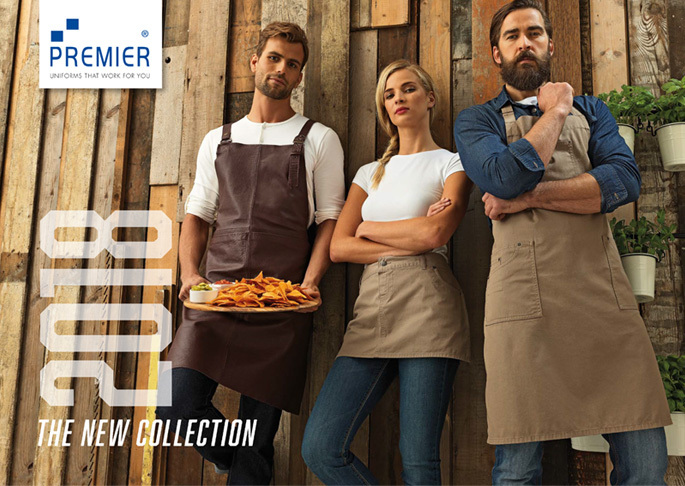 Shop aprons, bar shirts, chefswear and more or request a copy of your FREE brochure and we will pop a copy in the post. IDEAS – Are you signed up to a Charity Marathon 10k/5k run, fun day or sporting event? Get creative with our custom branded t-shirts promoting your team, message and brand, available in a wide variety of colours and sizes. Don’t know what Promotional Products are right for your campaign? Let us help, get in touch with us today on 0131 550 4848 or drop us a line at info@kidd-uk.com. You can also request your FREE catalogue here.